Happy Leap Day! The short answer! What exactly is a Leap Day? And what exactly is a Leap Year? February 29 is a date that occurs only every four years, and is called leap day. This day is added to the calendar in leap years as a corrective measure, because the earth does not orbit around the sun in precisely 365.000 days. It works out to be 365.2422 days — resulting in almost one extra day every four years. Otherwise, maybe you just want to contemplate this: Every leap year children are born on Leap Day. I have a cousin who was born on February 29 Th. I've always wondered if that was a good thing or a bad thing. They say that those born on a leap day are forever young because they only have a "real birthday" once every four years. Well here's to Tempest Storm who was born on February 29, 1928. May she remain forever young. She was an American burlesque star and motion picture actress. Her beauty landed her work as a chorus girl, but her curvaceous figure and very generous and natural 40" bosom and 22" waist combined with a magnetic stage personality led to a highly successful career in burlesque. Her professional debut was at the El Rey Theater in Oakland, California. She took Tempest Storm as her stage name around 1950, legally changing her name in 1957. For a career in burlesque in those early days, you get the Intrepid "Courageous Acts" honorable mention. The Gold Medal Award goes to ????? Ever hear of BERKELEY SPRINGS, W.Va? I haven't either. At least not until today. The residents of Los Angeles have something to drink about today and it's not that the Academy Awards are over and done with. This weekend, more than 120 water sources competed in the 18Th annual Berkeley Springs International Water Tasting competition. A panel of 10 journalists and food critics sampled sparkling, tap and bottled water from 19 states and other countries, including New Zealand, Romania, Macedonia and the Philippines. The title of best municipal water went to Los Angeles, California - we actually shared it with the town of Clearbrook, British Columbia. That means these judges determined that out of all of the contestants, Los Angeles and Clearbrook have the tastiest tap water! You'd expect that from a town named "Clearbrook" but from Los Angeles -- Come on! What a credit nonetheless! With prices of gasoline soaring and the price of bottled water sometimes exceeding the price of the same quantity of petrol, the residents of LA have yet another reason to love it here.... "Randy Newman - I love LA"
So here's the deal: For a limited time only, I'll be saving my empty bottled water containers. And per your request and a fee, I will fill up these containers from my tap and send you the water so that you can have your own sample of some of the best tasting water. Just let me know if you want some water and I'll tell you how much money to send me. Who knows? If enough of you order my water, I can quit my day job! This award-winning Christian sextet broke new ground in a cappella in the '80s, paving the way for the popular revival of R&B vocal groups. Their jazz harmonies, original songs and vocal pyrotechnics represent some of the best a cappella ever recorded. A few years back, I was given a copy of this song: "Lift Every Voice and Sing" (Stream It Here) and was told it was by the group Take Six. The digital track was labeled: "Take Six - Lift Every Voice and Sing (no artist)"
Since then, I've tried - Not too hard - to locate the CD/Album that this song came from so that I could purchase the entire album. To no avail- It's a beautiful and inspiring song and like most "anthems" is laden with baggage, hope, strife, struggle, faith and emotion. The rest of the story- Well, you know the big parts. 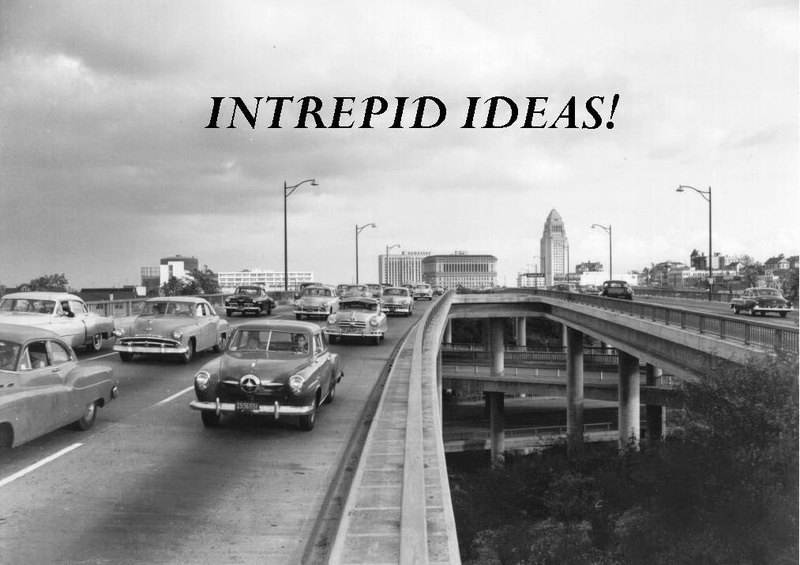 But here's an educational podcast on NPR: Follow this link Click Here; which should inspire, educate, and summarize the journey of this song from an idea to a poem to a song to a part of our American History. 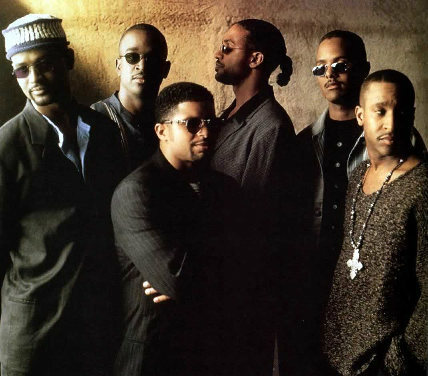 If you know any more details about the Take 6 (or not) version I'd love to hear from you. As they say on NPR... "Thanks for Listening"
Lunar Eclipse - I missed it! Okay, I found myself in the middle of the desert in Arizona on February 19, 2008. Oh great I thought! I looked up at crystal clear skies with no light pollution. I could literally see thousands of stars and a brilliant moon in the sky. Just my luck - a perfect opportunity for a viewing of the lunar eclipse on the 20Th. NOT - I stood ready with camera and binoculars but the weather didn't cooperate. Clouds and rain like you wouldn't believe. Wait a second I thought. Isn't this the desert? It doesn't rain like this here. You know drought, heat , rattlesnakes cactus es (cacti), and lizards. I expected all of that and even a few scorpions. But no torrential down pours. Oh well, my bad luck but at least I got to enjoy some great homemade pizza and scrambled eggs by a man affectionately known as Ratatatouille. And kudos to the US Navy for shooting down a rogue satellite! It was a nice visit.... I had a great time and we did what we had to do! A total eclipse of the Moon occurs during the night of Wednesday, February 20, 2008. All kinds of stuff going on in the sky! A defunct US spy satellite is falling- Or being shot down. A lunar eclipse; and who knows what else? Keep your eyes to the sky today and watch out for falling debris. That wet milky stuff that hits you in the head can be from your fine-feathered friend! You hope! I hear if it lands in your hair, you'll have good luck for a full year! Click the link above and find out when the eclipse will be visible in your area. Then get yourself a good seat, take your camera, and hope for clear skies. I'm hoping to get a few shots myself. "Don't Just Survive Get Even!" This was a fun post and I enjoyed writing it. I wasn't really sure what the reaction to it would be but I was pleasantly surprised and enlightened by some of the comments that followed. In particular comments from two of my blog buddies: Tamera and Bellydancegirl - (Incidentally, they have great blogs! please take a minute to visit their sites. You won't be disappointed). Their comments were so real and true that I was inspired to write this post. So Let's go back a few years. The year was 1981. MTV kicked off in August with a new format and style that revolutionized the music and television industry. For you trivia buffs, the first song played by MTV was what? If you guessed - Video Killed the Radio Star" by The Buggles. You're Right! This combination of music and video spread like wild fire and before we knew it new words and phrases like "I Want my MTV" and Vidiot - (someone who sits on the couch all day and watches music videos) became household terms. Dire Straits fanned the fire with their hit song "Money For Nothing" in which they borrowed the slogan "I Want my MTV" for the chorus of the song. An entire generation of people fell captive to a rage that influenced nearly every aspect of ordinary life. In another dimension of the music/television arena and hoping to duplicate the appeal of MTV and capture some of the success was VH1 which jumped on the scenes in January of 1985. By this time the demographic of MTV had shifted a bit to cater to a younger teenaged crowd. VH1, on the other hand, hit the airways with a goal of reaching an older more eclectic group. Generally speaking, they hoped to reach the 18 -35 year olds. 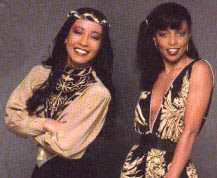 Their format included more adult contemporary music and served up more of the R & B and Motown sound. A seemingly perfect compliment to MTV. For the most part, VH1 offered a lighter, easier listening fare compared to MTV. Artist like Tina Turner, Elton John, Sting, Donna Summer, Kenny G, and Anita Baker, were quite common on the VH1 tracks. And that's where I came in. Somewhere during this transformation around 1984 - 1987 I got my first cable TV hook-up. At this time, HBO, Cinemax, Showtime, and all the other premium cable networks were jockeying for position in the marketplace and VHS was doing battle with Betamax. A lot was going on. It was somewhat of a video/television revolution. And while all this was going on in the foreground, I was torn between MTV and VH1. They each had their appeal to me. I was pumped up by the high energy modern hits played on MTV and at the same time, I was seduced and enchanted by the mellow nouveaux sound of VH1. My preference was often dictated by my mood. And frequently I'd have the TV tuned in to one of the stations while I was doing mindless bachelor stuff around the house like cleaning, folding clothes, or cooking dinner. When I was cleaning, it was better to have the up beat music of MTV on. And when I was cooking, I preferred the more romantic soothing tunes of VH1. It was also during this time that I was exposed to two new and exciting artists. One day while watching MTV I saw the Cindy Lauper Girls Just Want to Have Fun track. Alternatively, while watching VH1, I saw the Sade - Smooth Operator video. I liked both of these songs so much that I went out and bought both of the albums. I soon became a big fan of almost every song on each of the records. These songs were further enhanced when I was able to watch the videos. I guess it's just that visual thing that everyone keeps talking about! Needless to say, my love affair with VH1 and MTV eventually faded. As they changed their formats to accommodate the changing times, I lost interest. I hung around a bit and caught some of the reality shows along the way like "The Real World" on MTV and "Behind the Music" on VH1 but my commitment had diminished. Occasionally, I'll turn on VH1 classics just to be nostalgic but those days are few and far between. I still, however, embrace the spirit of those early years of VH1 versus MTV. In a similar way, I also embrace the energy and spirit that can be seen in the blogs of Tamera and Bellydancegirl as well as their entire blog presence. So with that being said, I'd like to play Video Deejay (DJ) for a few minutes - (This is my Blog right?) And spin a few records - I mean YouTube videos for my blog buddies. My first dedication is to Bellydancegirl. It's from the Cindy Lauper Album - She's So Unusual. I liked all of the songs from this album especially "Time after Time" But I was looking for something off the wall and unique to compliment her creativity and dancing spirit. Furthermore, BDG's dancing is so good - "But we won't worry and we won't fret 'Cause there ain't no law against it yet" - Listen to the lyrics. So here it is: "Cindy Lauper - She Bop"
And my second dedication goes to Tamera - Not much to be said here. It's clear that Tamera has an ear for the blues and is probably an admitted Sade fan. I bet she listens to the "Love Deluxe" CD when no one else is home. (smile) Anyway, I'm dedicating "Your Love Is King" by Sade to Tamera. Thanks to everyone for indulging me! I hope you enjoyed my rants! Recession - Recession - Recession! There I said it! And I feel better about it. So why all of the reluctance to admit that we are in a recessionary economy? Is it because the current administration doesn't want to give the opposition any ammunition in this election year? Perhaps they don't want to scare the population with the truth. Or maybe we just can't agree on what a recession really is. One commonly accepted definition of a recession is: "A recession is a decline in a country's gross domestic product (GDP), or negative real economic growth, for two or more successive quarters of a year." The problem with this definition is that as soon as someone figures out that we are in a recession, we've already been in it for at least two quarters. This definition of recession is "a downward trend in the rate of actual GDP growth as promoted by the business-cycle dating committee of the National Bureau of Economic Research. That private organization defines a recession more ambiguously as "a significant decline in economic activity spread across the economy, lasting more than a few months." There.... So I suppose it's harder to diagnose if you don't really know what you're looking for. I happen to believe that if it "Looks like a Duck, sounds like a Duck, and smells like a Duck" - It Must be a Duck! And the last year or so has felt like a recession to me. Furthermore, when I think about recessions I'm usually reminded of the economists joke that says- What's the difference between a recession and a depression? "A recession is when your neighbor loses his/her job. A depression is when you lose your job." A lot of truth in that statement as well. Needless to say that there's a very delicate balancing act required to ease inflation without sending the economy into recession and to mitigate slowing growth without fueling inflation. And somehow by managing all of this we have to avoid a process called stagflation. Clearly these aren't easy undertakings. However, when I see the fed making drastic emergency cuts of .75 points preceded and followed by cuts of .25 - .50 points and the government giving tax rebates to fuel a slowing economy, I can't help but wonder if we shouldn't have been more proactive a few months ago. If you want to be proactive as an individual, I've run across a post by Scobleizer - titled: Surviving the 2008 recession. Looks like he has some pretty good general tips that might help us all. "If you had purchased $1,000.00 of Nortel stock one year ago, it would now be worth $49.00.With Enron, you would have $16.50 of the original $1,000.00.Worldcom leaves you with less than $5.00If you had bought $1,000.00 worth of Budweiser (the beer, not the stock) a year ago, consumed all of the beer, then turned in the cans for either the recycled aluminum fee, or the 10¢ deposit, (depending on your state of residence), you would have ( ± $214.00).Based on the above, my current investment advice is to drink heavily and recycle. This, new retirement program, is called the 401Keg program." Okay, I'm not exactly sure where this came from - I found it floating around in one of my junk emails..... I think the timing of it is circa 2004 but once again, I'm not sure. I'm not a Budweiser drinker, but I can easily substitute my favorite label in for Bud. I got a kick out of it and thought I'd share the humor/harsh reality with you all. Yeah, the sad thing is that an invesment today can be worthless a year from now and you could be wishing you had the empty cans! So be careful out there. And if you think you'll lose all of your money this year with bad investment decisions, save yourself the agony and buy a bunch of beer instead. The 50th Annual Grammy Awards will take place at the Staples Center in Los Angeles, CA on February 10, 2008. It will be broadcast on CBS and will air at 8PM EST. That's tomorrow! Holy Cow Batman! I can't let the day go by without a post on that subject. I'll start with a small bit of trivia. Do you know where the name "Grammy" comes from? 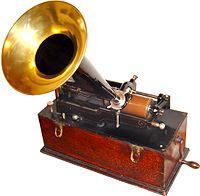 The Grammy Awards were originally called the Gramophone Awards. Over the years, the "phone" part was dropped and the abbreviated "Grammy Awards" found a life of it's own and stuck. I didn't mean to insult some of my more knowledgeable readers but I'm sure there are a few readers (like me) that just learned something. So with that said, let me take you back about 30 years to the days when Disco ruled the airways. The year was 1978 and these are the songs that ruled. Album of the Year: Saturday Night Fever - Bee Gees, K.C. and Sunshine Band, Tavares, Kool and the Gang, MFSB, Trammps, and a few others. Just a few winners to tempt your curiosity. The Bee Gees were big winners that night and walked away with 5 trophies. But what about the Best New Artist category? This is always one of the more exciting categories and telling awards. The following artists were nominated for their hits in 1978. This award was presented in 1979. And the Grammy goes to: A Taste Of Honey! For their hit song: Boogie Oogie Oogie. 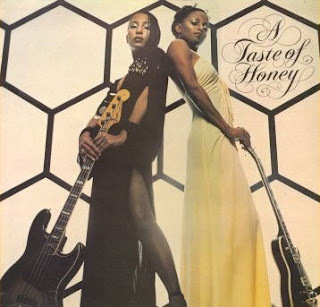 While Toto, The Cars, and Elvis Costello, seemed to enjoy their share of the limelight, A Taste of Honey seemed to have more questionable fame and fortune. They released another song- Sukiyaki - that did well on the charts. I'm streaming it here if you'd like to listen to it: Follow this link. What's up with the Stock Market? I can't figure it out. Up one day and down the next. Way up still another day and then way-way down the following day. This volatility is crazy. Anyway, I ran across this article in the China Daily newspaper last June when I was in Beijing. Just recently when I was throwing away some junk mail I found it. I thought it was pretty funny when I read it. But of course I wasn't on the receiving end of the shoe! According to the article, a woman was so angry with her husband after finding out he had used her money to buy stocks that she beat him viciously with one of her high heel shoes in the street in Changchun, Jilin. The man later admitted that he was addicted to stock trading and had lost money on bad investments. Let's just hope she doesn't find out about his blogging addiction! Happy Lunar New Year and The Year of the Rat! In celebration of the Year of the Rat, (You all know how I feel about Rats) Hong Kong will host a string of colorful programs. These include the Chinese New Year Night Parade, the Lunar New Year Fireworks Display, the Guinness World Record-winning "A Symphony of Lights" which will be enhanced with pyrotechnic effects during the Lunar New Year holiday. Unfortunately, I'll be headed back to the USA so I'll miss many of these programs. I'll miss the New Year Lion Dance which is a martial arts display and dance often performed by two dancers, one at the head and one at the tail of the lion and is believed to bring good luck to the household or business. In addition, other ceremonies will take place throughout Hong Kong. 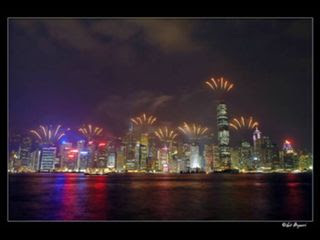 On Friday February 8, 2008 - the skies above Victoria Harbour will ignite with an incredible pyrotechnics display between 8:00 P.M. and 8:23 P.M. I'll miss this too. But that's okay.... I'm ready to leave Hong Kong and get home for a few days. It's cold here.... and I've got some projects to take care of at home. If you're in Hong Kong during this time, have a blast! Be safe! If not, Kung Hei Fat Choi! to you where ever you are. May the Year of the Rat treat you well. If you read my last post you know I'm on this L.A. kick. right? As much as I convince myself that Los Angeles is great - I'm bummed that we don't have a professional National Football League team. No more Los Angeles Rams - and no more Los Angeles Raiders. What gives? Los Angeles county has a population of just about 10 million people yet we can't lay claim to one single NFL team. What a travesty. LA Dodgers? We got em. Clippers and Lakers? Two for the money. Big time college teams like the Bruins and Trojans. Yep! Lots to watch on that end. But can you wake up on any Sunday morning and pretend you're rooting for the home team in pro football? Absolutely Not! So while most of the nation and a lot of the world is kicking back tomorrow and watching the New England Patriots go head to head with the New York Giants. While the nachos are being served and the beer is being consumed. While the living room debate goes on and arguments are being made for the Patriots to win and complete a perfect season or for the Giants to emerge as the spoilers; I want you all to know that I'll be secretly and quietly boycotting the game. I'll be doing this in the comfort of my own home with a bottle or glass of something cold and tasty in my hands. I'll have a few delicious snacks to make sure my blood sugar doesn't get too low in the process. And I'll be sure to enjoy some comfort food sometime during the course of these events. And just to make sure I'm informed, I'll try to watch every single commercial so that I can join in the discussions on Monday as to which commercial was the best and most original. And finally, just to make sure that this moment is documented correctly. I'll invite a hand full of witnesses over to suffer through this event with me. I know this is difficult to believe, but while I'm sitting there trying not to enjoy this - one of the last bastions of true modern American commercialism -I will secretly and sub-consciously be in boycott mode. No one will know but me and anyone who reads this post! Go Giants! Beat the Pats!